Excellent target ammunition and the perfect way to transport or store it. High quality steel-core rounds, loaded to SAAMI specs. From Prvi Partizan, the top Serbian munitions manufacturer. PPU, .308 (7.62x51mm), FMJBT, 145 Grain, 500 Rounds with Can is rated 4.3 out of 5 by 4. Rated 4 out of 5 by ray reko from Good Ammo This is good ammo but IT IS NOT STEEL CORE ripped one appart and no steel penetrator just a normal lead core!! Sportsmans guide really need to update this. This ammo is has a complete lead core. very disapointed about the description. Rated 3 out of 5 by Scooter from This is not steel core, don't bother. This is not steel core ammo, it might say it is, but it's not. I'm very disappointed in the description of this ammo.I bought 500 rounds thinking it was steel core, it wasn't. I bought another 260 rounds I thought was steel core, it wasn't. This time I made sure I ordered this ammo that specifically stating it's steel core, GUESS WHAT, IT'S NOT! I'm sure the ammo is good stuff, it's just not what I thought I was getting! 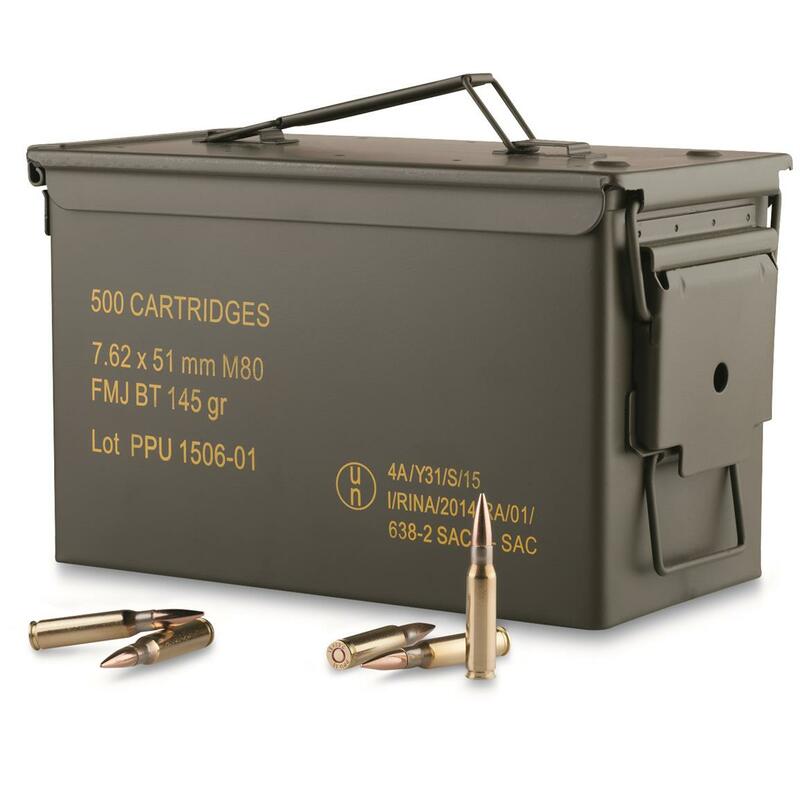 Rated 5 out of 5 by Edward from Great deal good ammo the ammo can is real deal to love it! Rated 5 out of 5 by canyon_finder from Excellent Ammo I have used PPU ammo in .44 Mag and .308, and find it very good quality, and clean shooting as well. As for accuracy, it serves well as practice ammo, as expected. Performance driven, high quality and innovative.